Want to Know How to Clean Artificial Grass? After decades of being viewed with suspicion, and considered a paltry substitute for a real lawn, artificial grass was finally able to find its niche within the home and landscaping market in the past few decades, and has enjoyed steadily rising popularity among western home-owners ever since. This gradual, positive turn of events can be attributed to a number of factors, not the least of which has to do with the increasingly realistic appearance of artificial lawns; however, when attempting to explain the popularity of artificial turf, most experts inevitably end up pointing to the same two or three aspects, such as the durability of the material or, more prominently, its ease of maintenance. Indeed, in what concerns treatment and cleaning, artificial grass stands out for how little it requires on the part of the home-owner. Whilst a natural lawn will involve any number of time-consuming and demanding tasks in order to remain verdant and attractive – including weeding, fertilising, dealing with holes and cave-ins, and pest control – an artificial turf carpet requires only a negligible amount of care, mostly amounting to cleaning the surface on a regular basis. Still, even this relatively simple operation does involve a few particularities, which is why the lines below go into more detail on how to clean artificial grass, among other maintenance measures. The first thing experts will generally tell customers wondering how to clean artificial grass is that it is a two-step process; specifically, that the surface should be cleaned both on a weekly and monthly basis in order to remain in perfect condition. Of course, these two types of cleaning operation require different levels of involvement, with the monthly clean-through being far more thorough than its weekly counterpart. In fact, the extent of weekly maintenance required by the average artificial grass carpet basically amounts to a hose-down, in order to remove impurities, detritus or debris which may have accumulated among the grass blades. In extreme situations, such as when the turf has acquired a particular smell or in households with pets, home-owners may also be required to apply a mild detergent or liquid soap to the surface, in order to do away with the odour and provide a deeper level of sanitisation; similarly, once the hosing down is complete, it is recommendable that home-owners comb the blades back upright, to ensure they retain their appealing appearance. However, this is the absolute furthest extent of weekly cleaning, treatment and maintenance for artificial grass; under regular circumstances, the process should not set home-owners back more than a few minutes each week. Perhaps unsurprisingly, the monthly cleaning session most experts recommend home-owners give their artificial lawn is considerably more in-depth than the weekly hosing described above. In fact, this monthly operation is what comprises the vast majority of the maintenance required by an artificial turf lawn – which is, nonetheless, still rather undemanding when compared to its natural counterpart. When undertaking the monthly cleaning of their artificial lawn, home-owners are advised to take time to carefully go over the surface with a rake or a stiff-bristled brush or broom, to remove debris and fouling agents such as dirt or leaves, which typically lodge themselves deeper into the carpet than other forms of detritus, and may therefore necessitate more than the weekly hose-down to be disposed of. As with weekly maintenance, once the process of cleaning the artificial turf carpet has been concluded, home-owners should be careful to groom the blades back to an upright position, in order to ensure the lawn retains its appealing aspect and does not appear matted down or worn. It should not be necessary to apply soap or detergent in this instance, unless the turf is particularly dirty; such maintenance will have already been carried out during the weekly maintenance sessions. In addition to the weekly and monthly cleaning and grooming every artificial turf carpet requires, pet owners will find themselves tasked with one extra item of maintenance, namely picking up after their pets, much like they would for a real lawn. Again, however, there is little comparison between the amount of care required when performing this task on a natural grass surface as opposed to an artificial one. While on a real lawn scraping off this detritus would most likely be a lengthy process, with artificial lawn, all the home-owner has to do is remove the waste from the lawn – in case of solid waste – then clean the turf, as described above. Liquid waste is even easier to deal with, as the best artificial lawns come equipped with an in-built drainage system, which will ensure the liquid passes through and is absorbed by the soil below. As such, all that will be required in such a case is a quick scrubbing with soap or detergent and a hose-down – a process which will last no more than a few minutes! This is a large part of why artificial grass is such a favourite among pet owners, and definitely scores another point for synthetic lawns over their natural counterparts! As easy as it is to clean artificial grass, there are nonetheless some precautions which should be observed. Specifically, home-owners with artificial lawns should be careful not to use strong chemicals to clean these surfaces, as their active agents could damage the turf, forcing a replacement and resulting in unnecessary expenditure. 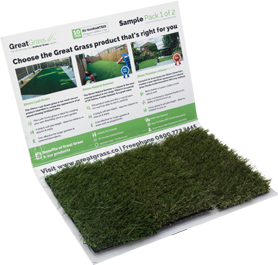 The paragraphs above have hopefully been successful and helpful in giving owners of synthetic lawns an idea of how to clean artificial grass. Unlike its natural counterpart, this material really does not require much by way of maintenance, and by observing the few simple measures detailed above, home-owners will be able to ensure their turf carpets stay as good as new for as long as they want them to. With this factor in mind, it is not hard to see why or how the low level of maintenance artificial grass requires has contributed to increase its popularity and make it a firm favourite among western home-owners!